1. This item runs on 3pcs AG13 Batteries which are NOT Included. You need to buy them at your Local Shop. Hope you consider it before order. 2. The laser light image shown here is for reference only. 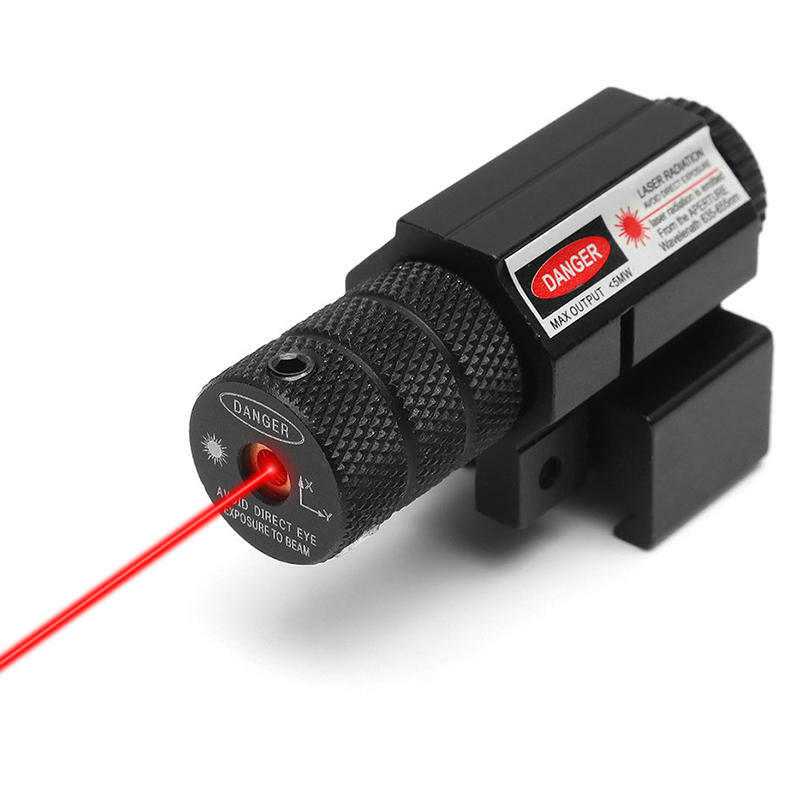 In actual use, the laser light beam is INVISIBLE and it only results in a red dot on the irradiated object. Please take the actual situation on real product as standard. Thanks for your understanding. 1. Aluminum Alloy Quality: Made of aircraft grade aluminum, black anodized finish, durable and sturdy. 2. 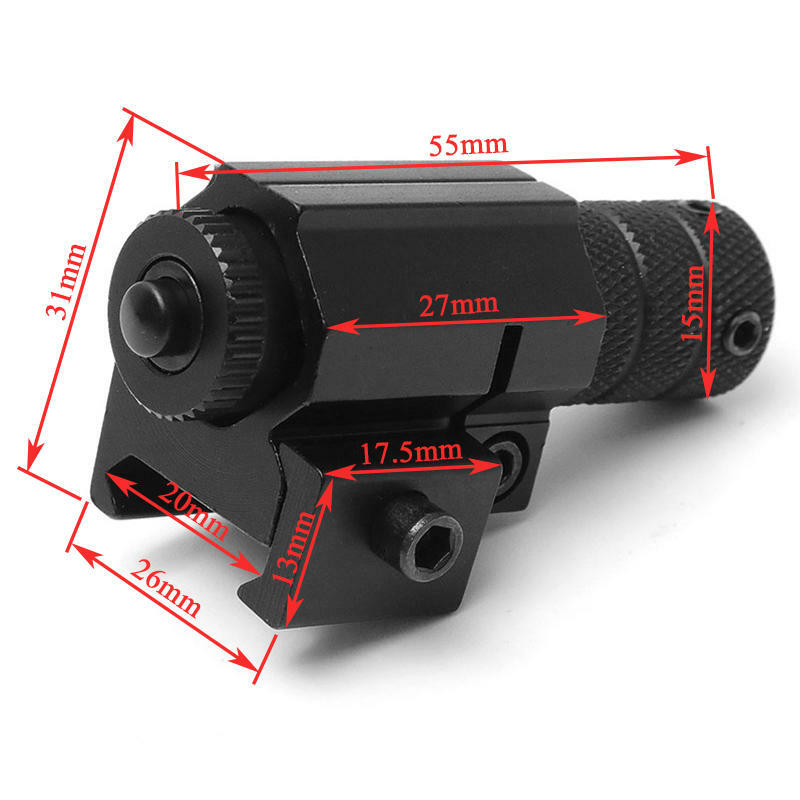 Laser sight mount can be installed on standard 20-21mm picatinny rail. 3. Long range red laser scope sight reaching up to 100m. 4. Windage and elevation can be adjusted with included wrenches. 5. 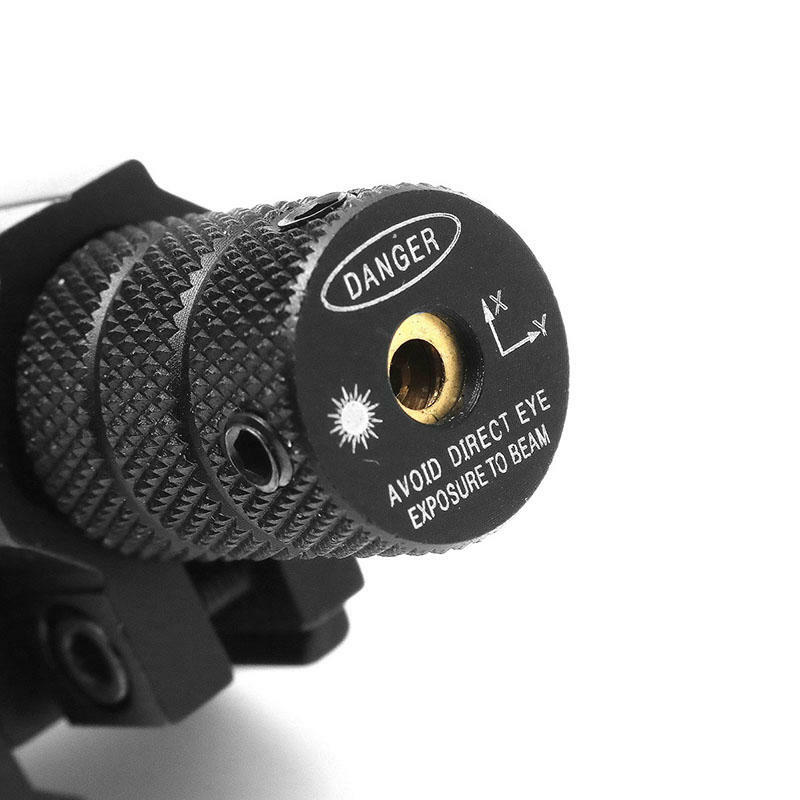 Easy to Use: The ON/OFF button is on the back of laser, easy to press on it.